There's a new Instagram trend taking over from diners taking pictures of their dinner plates. Doortraits - that's taking photos of pretty front doors - is the latest craze and there's no better place to get snapping than London. The Evening Standard has compiled a small gallery of some of the most eye-catching 'doortrait' Instagram entries, and here at Lurot Brand we were able to play 'name that street', as many of the locations are on our patch. The familiar pastel hues, London brick stock, neatly painted front doors and wrought-iron railings are characteristic of Central and West London, especially in areas such as Notting Hill, Bayswater, Kensington and Knightsbridge. If you want to buy or let one of the most photogenic houses for sale in London, ask Lurot Brand. Our extensive local area knowledge and experience of selling some of the most attractive mews houses in London means we can match people with stunning properties. 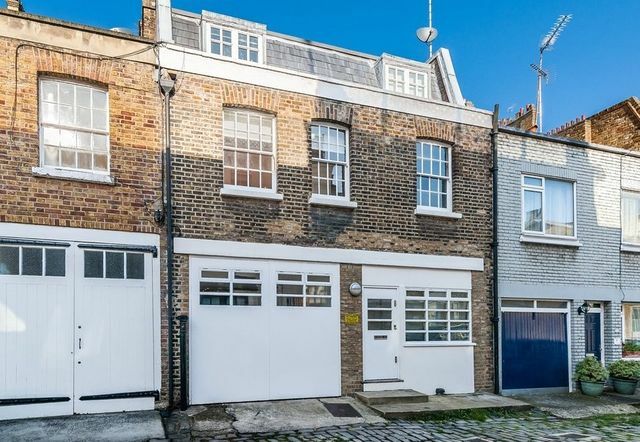 Take a look at our mews houses for sale in Lexham Mews, Petersham Mews, Conduit Mews, Archery Close, Barthurst Mews, Craven Hill Mews. They all nestle among colour facades and come with Instagram-worthy door architecture. More mews houses under a Conservative Government? Can you add value to your home by making eco improvements?